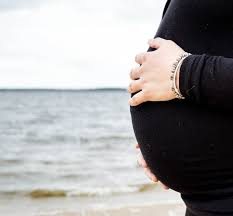 Pregnancy is a special time, but it also brings increased risk of gum disease. The studies provide even more evidence of the well-known importance of oral health to the health of the entire body and, in this case, to both a mother and her new child. An August 7 article in UAB The Mix reports on two University of Alabama studies indicating that premature births and low birth weight could be significantly reduced if women were more vigorously encouraged to improve their oral hygiene, as well as being proactively treated for gingivitis (gum disease) which a very large number of pregnant women suffer from to some extent. West Covina dental office A-Z Dental Care says that the studies provide even more evidence of the well-known importance of oral health to the health of the entire body and, in this case, to both a mother and her new child. The office says that, while it’s important for all of us to obtain twice yearly teeth cleaning and once yearly oral exams, proper dental hygiene is especially important during the vital pre-natal period when a new life is developing. The offices says that problems in the womb can lead to issues that, in some cases, can last well after the child has been born and on into adulthood. The fact the gum disease and periodontitis, its more serious cousin, becomes much more common during pregnancy due to hormonal changes, means that all women really should be visiting the dentist to minimize the issue, says the office. A-Z Dental Care adds that, unfortunately, many new mothers avoid the dentist for two reasons: some are concerned about discomfort, but even more may be concerned about the cost of dental visits. Regarding discomfort, the office says that its founding dentist, Mirhamid Salek, D.D.S., is known for his gentle and compassionate treatment of his patients; it adds that he is constantly seeking to make sure that patients, especially moms to be, are as at ease as possible. As for finances, while new parents especially need to be careful with their finances, investing in dental health is made easier by the office’s commitment to providing outstanding care at the most affordable prices possible, including free consultations and discounts. It notes that it offers payment plans to make it easier for families on a budget to have the dental care they need. For patients with insurance, it accepts most types as well as Denti-Cal. Most importantly, the office advises that excellent oral hygiene and preventive care is not only vital considering the stakes involved with bringing a new life into the world, it’s also immensely less expensive than addressing serious dental problems later. Readers from throughout the San Gabriel Valley and Southern California who would like to learn more about A-Z Dental Care in West Covina are invited to call 626-966-8408 or visit the office’s web site at http://www.A-ZDentalCare.com.